NACCHO Aboriginal Healthy Futures #closethegap #socialdeterminants @pmc_gov_au Debate : Where to from here? ” Federal Indigenous affairs bureaucrats have released a draft of their new evaluation framework, eight months after the Commonwealth committed $40 million over four years to evaluate policies in the portfolio and put a highly regarded university professor in the driving seat. ” It’s been widely known for fifty years that the health of Aboriginal people lags far behind that of other Australians. Despite that and the expenditure of billions of taxpayers’ dollars, serious gaps persist between Indigenous versus non-Indigenous health and wellbeing. There is compelling evidence that social factors are potent determinants of the health of populations. In the simplest of terms these are (a) social disadvantage, and (b) the relationship of Indigenous Australians to mainstream society. Associated with these are basic issues already mentioned; these include education, housing standards, employment and socio-economic status. These must be addressed if health disadvantages are to be overcome. Until this happens the poor health outcomes of Indigenous Australians will persist. It’s easy to identify medical problems, perhaps because they can be classified and measured. It is tempting then to decide that these problems are ‘medical’ and, therefore, should respond to ‘medical’ interventions or approaches in isolation. This is dangerously misleading. It’s time for clinicians to realise and publicly acknowledge that most of the important issues which determine the health status of Indigenous people have ‘non-medical’ roots and need vigorous ‘non-medical’ approaches in order to be corrected. Around the same time as the new evaluation funding was announced, Malcolm Turnbull sought out indigenous health expert Ian Anderson to take over as deputy secretary leading the PM&C indigenous affairs group, which is also the only group within the central department overseen by an associate secretary, Andrew Tongue. Anderson’s first major task was a review of the Closing the Gap target framework, which focuses attention on particular indicators of disadvantage. A few months into the job he set out some of his thoughts in a public speech at a special event marking 50 years since the referendum that effectively created this area of federal policy. The framework notes good evaluation is “planned from the start, and provides feedback along the way” (referencing the audit office’s 2014 better practice guide to public sector governance). “Good evaluation is systematic, defensible, credible and unbiased. It is respectful of diverse voices and world-views. The credibility of future evaluations depends on demonstrating their independence. To this end, the framework says a new external advisory committee, membership so far unknown, will “support transparency and ensure the conduct and prioritisation of evaluations is independent and impartial” by overseeing how the new framework is applied, checking the annual evaluation plan and with “ongoing advice, quality assurance and review”. A “commitment to transparency” is also included. The committee will publish “all high priority evaluations” and reviews of them. Others will be randomly reviewed and summarised in an annual report. place collaboration and ethical ways of doing high quality evaluation at the forefront of evaluation practice in order to inform decision making. “Our approach to evaluation, as outlined in this Framework, reflects a strong commitment to working with Indigenous Australians. “Our collaborative efforts centre on recognising the strengths of Aboriginal and Torres Strait Islander peoples, communities and cultures. Do they build on strengths to make a positive contribution to the lives of current and future generations of Indigenous Australians? Are they designed and delivered in collaboration with Indigenous Australians, ensuring diverse voices are heard and respected? Do they demonstrate cultural respect towards Indigenous Australians? The draft framework lists four elements of good evaluations — they are robust, relevant, credible and appropriate, which is to say they are “fit for purpose” and done in a timely fashion — and explains in detail how each of these ideals is to be achieved in Indigenous affairs through higher standards. While not being too prescriptive, the framework aims to set a high standard for the evidence that is used to judge the impact of programs. “A range of evaluation methodologies can be used to undertake impact evaluation. Evaluations under the Framework will range in scope, scale, and in the kinds of questions they ask. Measuring long-term impact is challenging but important. We need to identify markers of progress that are linked by evidence to the desired outcomes. “The transferability of evaluation findings are critical to ensure relevant and useful knowledge is generated under the Framework. High quality impact evaluations use appropriate methods and draw upon a range of data sources both qualitative and quantitative. Perhaps the moves to take a more academic approach at the federal level will allow for more open discussion of what works, in a portfolio where this year the minister has seen fit to publicly attack researchers in the field, and blast the independent audit office for doing its job instead of helping him attack the opposition. It’s been widely known for fifty years that the health of Aboriginal people lags far behind that of other Australians. Despite that and the expenditure of billions of taxpayers’ dollars, serious gaps persist between Indigenous versus non-Indigenous health and wellbeing. When these inequities were recognised in the 1960s the very high rates of Aboriginal childhood malnutrition and infections and high death rates of infants and young children brought home the unpalatable fact that Australia had a so-called ‘Third World’ health problem. This is a feature of poverty-stricken nations. This was clearly unacceptable in our otherwise affluent and healthy country. There was a public outcry which stirred the federal government into attempts to remedy this embarrassing state of affairs. In 1979 the Commonwealth Parliamentary Committee on Aboriginal Affairs found that . . .
‘the appalling state of Aboriginal health’ . . . ‘can be largely attributed to the unsatisfactory environmental conditions in which Aboriginals live, to their low socio-economic status in the Australian community, and to the failure of health authorities to give sufficient attention to the special needs of Aboriginals and to take proper account of their social and cultural beliefs and practices’ . . . 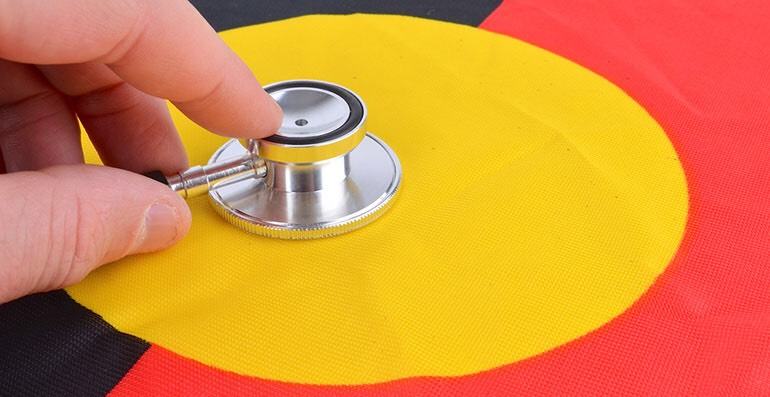 The Committee criticised governments for their lack of recognition of these factors and commented on the need for Aboriginal people to be much more closely involved in all stages of planning and delivering their own health care. Notwithstanding some improvements in Indigenous health which occurred over the almost forty years that followed, many of that Committee’s findings and criticisms are still valid. In 1981 a $50 million Aboriginal Health Improvement Program was launched with the aim of upgrading environmental health standards, such as better housing and community and family hygiene conditions. Government funds were allocated and State and Territory health departments implemented strategies and programs and deployed clinical and allied staff in order to achieve better Indigenous health. An important objective was to provide more accessible services for Indigenous people. Some positive health gains followed; for example, better pregnancy outcomes, fewer maternal deaths, fewer infant and young child infections, suppression of vaccine-preventable illnesses through immunisation, and lower infant death rates. This should have helped Indigenous youngsters to negotiate the rough ride through early life that would otherwise have been their lot. However, health and disease statistics for Indigenous Australians generally stayed well behind those of other citizens in the years that followed. 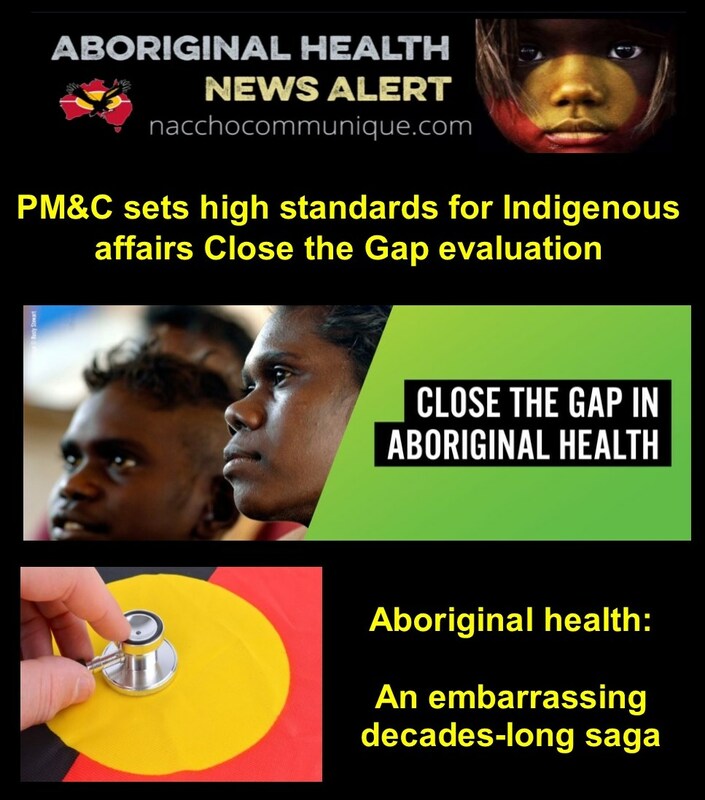 The persisting poor standards of Indigenous health prompted the Federal Government in 2008 to ‘Close the Gap’ for Indigenous Australians in a range of health outcomes and other facets of life and wellbeing so that they and other Australians would have ‘equal life chances’. The then Prime Minister Rudd anticipated within a decade halving the widening gap in literacy, numeracy and employment opportunities for Indigenous people. The Statement of Intent also anticipated better opportunities for Indigenous children so that within a decade . . . “the appalling gap in infant mortality rates between Indigenous and non-Indigenous children would be halved and, within a generation, the equally appalling 17-year life gap between Indigenous and non-Indigenous when it comes to overall life expectancy” . . . would be gone. These aspirations seemed commendable and were well received by the public. However, their feasibility was questioned soon after they were announced. The target of closing the gap in life expectancy was said to be “probably unattainable” and the capacity to extinguish the risk of chronic diseases (like heart disease, diabetes and kidney disease) and related deaths was considered publicly by a renowned medical expert to be “implausible” in the 22-year timetable set out by the government. This is pertinent because those chronic diseases are the main contributor to the discrepancy in Indigenous versus non-Indigenous deaths. Those reservations were well founded. Indigenous Australians now have very high rates of chronic diseases, as already mentioned. These are aggravated by smoking- and drug-related disorders. These conditions are long-term and have permanent complications, such as visual loss or blindness, or severe limitations on mobility. These cannot be reversed and, therefore, restrict prospects for longevity. In many Aboriginal communities a third or half of adults 35 years or over have one or more of these problems. Nationally, these diseases and accidental or intentional injuries, including suicide and homicide, are several times more prevalent in Indigenous Australians than in the total Australian population. This well-documented and widespread heavy burden of illnesses, disabilities and related excess premature deaths among Indigenous Australians makes it virtually impossible to remove, within a generation, the inequalities between this pattern and the better outcomes which prevail in the rest of the population. This is made more difficult because some of these problems are trans-generational and can have their origins during intra-uterine development. There are practical impediments in bringing better health to the Indigenous population. Inadequate access and maldistribution of facilities, personnel and services can be serious drawbacks, particularly in rural and remote areas. Of course, improving access to services does not necessarily lead to their appropriate utilisation. And compliance with treatments and follow-up supervision and medications can be problematic. Similarly, altering health knowledge and modifying risky personal lifestyles are difficult among many people whether they are Indigenous or not. There have also been serious problems with management and governance of clinical services for Indigenous people whether they are Indigenous-specific or mainstream services. This has tended to weaken their impact on health service delivery and waste limited financial and other resources. Collectively, all of these factors have diluted the much-needed positive outcomes of efforts to close the gaps in Aboriginal health standards and statistics. Some indicators of the current situation are revealing: death rates of Indigenous children under five years are more than double the national rates; their low birth weight rate is about double the overall national rate; hospitalisation rates are almost three times the national rates; hospital admission rates for potentially preventable conditions are almost four times higher; deaths from complications of diabetes at 35 to 55 years are approximately twenty times higher; and dementia rates are about five time higher than in non-Indigenous Australians and the condition starts earlier in life. The Australian Institute of Health and Welfare estimated that among Indigenous Australians born from 2010 to 2012 life expectancy would be about nine to ten years shorter than for other Australians. These indicators of health status, illness patterns and life expectancy are disgraceful and require urgent attention. The targets set to be met by the Close the Gap Strategy are reported publicly each year. Regrettably, the goals are falling short in many of the government’s nominated areas. These include several of the health-related areas which have been mentioned. Tellingly, the targets are not being met in many other facets of Indigenous life which have significant impacts on physical, emotional and mental health and wellbeing. These include, for example, early childhood schooling rates, closing the gaps in literacy and numeracy for older Indigenous schoolchildren, achieving equity in employment rates and the economic benefits which should follow, having Indigenous people housed in adequate and hygienic living conditions, and being more engaged with the wider Australian community in various day-to-day activities. These failures have been publicly acknowledged by successive Prime Ministers including Abbott and Turnbull. In the health arena itself there is a need for closer cooperation and collaboration between the three main sectors which provide curative and health promotion activities for Indigenous people. These sectors are: (a) mainstream services provided by governments; (b) Indigenous-specific services from Aboriginal or Indigenous Health or Medical Services; and (c) privately funded clinical and allied services. There is often overlapping of these sectors and, sometimes, issues of territoriality which detract from their effectiveness and, potentially, add to the financial costs involved. As mentioned by that Parliamentary Committee as far back as 1979, there is a pressing need for more Indigenous involvement and responsibility for decision-making and delivery of their own health services. Although this is improving slowly, there is a long way to go before those people who need the services have the power to help control their own future health. This is particularly so in remote areas where local communities and their committees are often sidelined from this important function. There is compelling evidence that social factors are potent determinants of the health of populations. In the simplest of terms these are (a) social disadvantage, and (b) the relationship of Indigenous Australians to mainstream society. Associated with these are basic issues already mentioned; these include education, housing standards, employment and socio-economic status. These must be addressed if health disadvantages are to be overcome. Until this happens the poor health outcomes of Indigenous Australians will persist. It’s easy to identify medical problems, perhaps because they can be classified and measured. It is tempting then to decide that these problems are ‘medical’ and, therefore, should respond to ‘medical’ interventions or approaches in isolation. This is dangerously misleading. It’s time for clinicians to realise and publicly acknowledge that most of the important issues which determine the health status of Indigenous people have ‘non-medical’ roots and need vigorous ‘non-medical’ approaches in order to be corrected. This means, of course, that non-medical sectors of governments must accept more responsibility and become more actively involved in issues which ultimately determine the health of populations which they are expected to serve. This will require a major shift in thinking within Federal and State governments and bureaucracies and wider acceptance among the Australian community. The challenges are daunting but the need is urgent. Surely it is within our collective capabilities to turn around this sad and long-standing saga into a success story. Michael Gracey AO is a paediatrician who has worked with Indigenous children, their families and communities for more than forty years. He was Australia’s first Professor of Aboriginal Health and for many years was Principal Medical Adviser on Aboriginal Health to the Western Australian Department of Health. He is a former President of the International Paediatric Association.